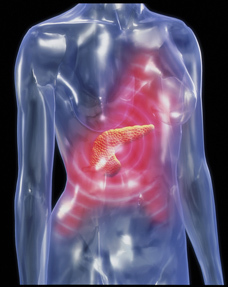 Unlike acute cases of pancreatitis, chronic cases present with varying degrees and types of pain, and without other clinical indicators such as calcification or damage to pancreatic ducts. It's best to refer to a gastroenterologist early to clarify the diagnosis, so the internist can better manage the patient. Medical practice is becoming increasingly team-based, which is leading to a renegotiation of the roles each clinician brings to patient care. Primary care physicians can offer more specific advice when they suggest exercise##mdash;frequency, intensity and type, for example##mdash;to increase their patients' likelihood of following through. When transitioning a medical practice into a patient-centered model, one of the first steps involves focusing on high-risk patients and developing a plan for more intensive management. Doctors use the patient's medical chart as a notepad of sorts, to record clinical impressions and thinking. But the record's increasingly open nature requires physicians to reconsider how they document the patient's history and what they might be willing to share with the patient. Breaking down the numbers offers insight into who stands to gain the most from the reforms provided by the Affordable Care Act. But the broader coverage offered under the law means that the country as a whole is better off. Richard J. Baron, MD, MACP, president and CEO of the American Board of Internal Medicine, responds to a previous President's Message about the challenges facing Maintenance of Certification and the plans on how to improve it. This issue includes stories on diagnosing chronic pancreatitis and on transitioning medical practices into care teams. This year's Current Procedural Terminology code changes are significant for internal medicine. Learn how to code for E/M services, hospital discharges and interprofessional consultations. Computerized order entry requires a licensed or certified staffer. Learn how to fulfill this requirement with new hires or by training existing office staff. The Governors' Subcommittee on Nominations is pleased to announce the Governor-elect Designees for several chapters. They will start their terms as the class of 2019 Governors-elect after the Annual Business Meeting in April 2014. A 37-year-old woman is evaluated in the emergency department for the acute onset of pain after 2 weeks of bloody diarrhea. The diarrhea has escalated to 15 times per day. She has ulcerative colitis that was diagnosed 2 years ago. She currently takes azathioprine. On physical examination, she appears ill. Following aggressive fluid resuscitation, temperature is 38.9° C (102.0° F), blood pressure is 70/40 mm Hg, pulse rate is 148/min, and respiration rate is 35/min. Abdominal examination discloses absent bowel sounds, distention, and diffuse marked tenderness with mild palpation. Following lab studies and the results of a radiograph, what is the most appropriate management?.